Work on 4th October - and the first day of some 1:1 tuition with a new pupil. 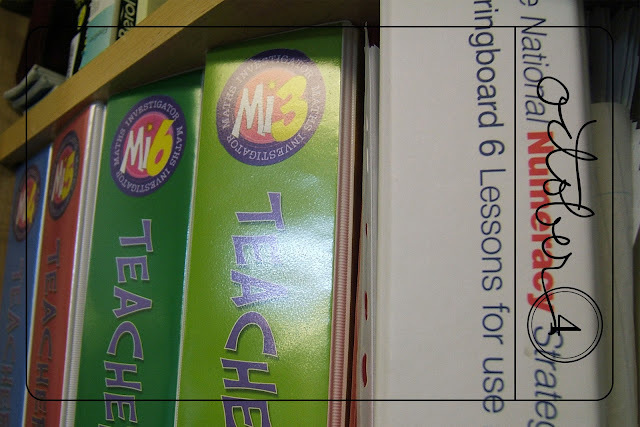 Here's a glimpse of my cupboard in the staffroom, where I keep my various teaching resources - not having a classroom of my own to store them in! I've expressed my opinion of ready meals before, but here's one that I actually really like. It's an Asda 'Good For You' seafood gratin - fish and prawns in a cheese sauce with a crunchy potato rosti topping - and it's low in fat, salt and sugar, which is a definite bonus! That meal does look pretty yummy. Are your children good about eating a variety of foods? Carrie was always such a picky eater (still is actually) and I'm always impressed with the variety of foods you serve at your house.